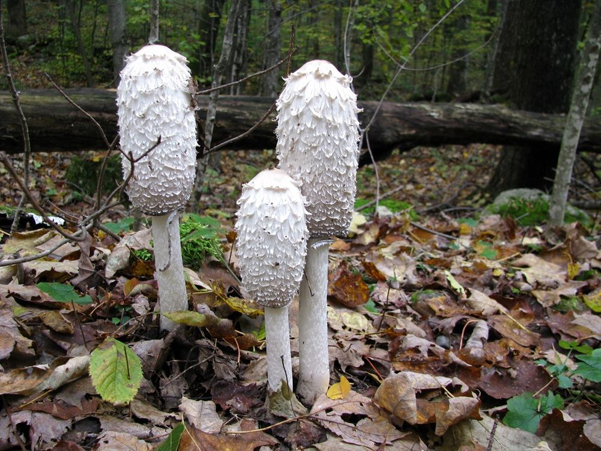 These mushrooms begin to appear in late September and last right through the Winter until March. 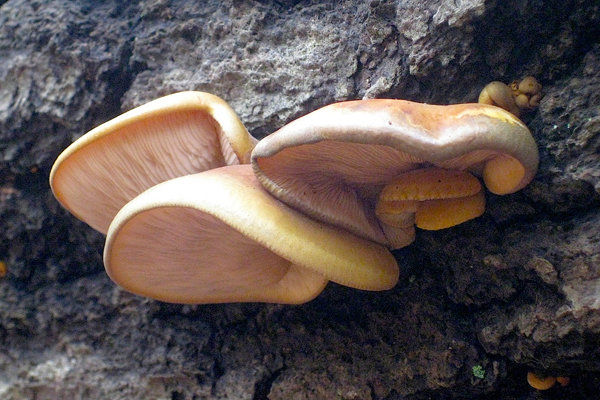 Velvet Foot (also known as Velvet Shank) evolve from a network of veins beneath the bark of dead hardwoods. 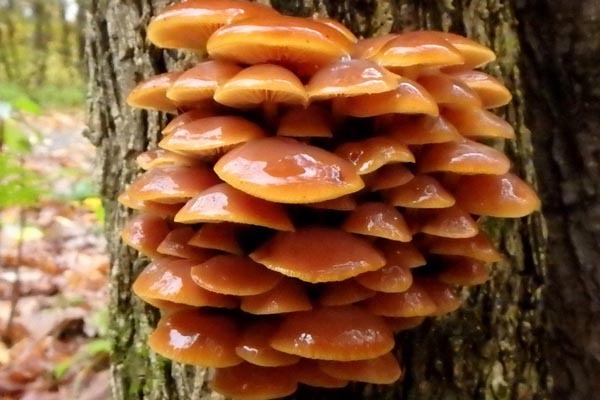 They grow in clusters, have sticky caps and very active white spores. That stickiness dissipates in the cooking along with the spores. Velvet Foot make a wonderful addition to risotto and pasta dishes. One great advantage to the Velvet Foot is that they are so easy to dry and store. Simply leave them on the counter for a day or two until they turn black and store them in a Mason Jar. When you are ready to use them again just reconstitute them in water and Voila!. We'll be foraging for these lovely fungi along with Wild Ginger, Day Lily Tubers, Wild Leek Bulbs and an assortment of other wild fungi in season. One of the more exciting new finds is the versatile Lepista Irina. It begins to show itself in late August and will coninue to appear until mid-November. It's large and meaty, perfectly suited to our main dish. 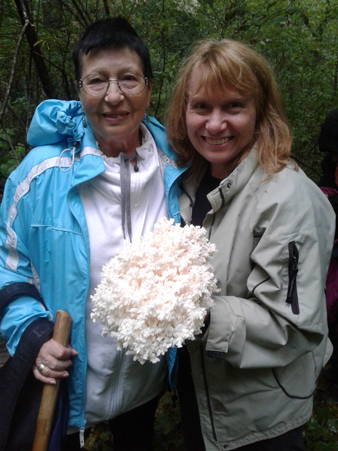 Meanwhile, out on the trails, we'll also search for Blewits (they're really blue), Lactarius Deliciocus, Lion's Mane, Comb Tooth Corals and more. Then return to Stratford Tea Leaves for a four course lunch featuring Wild Nettle Gouda from Mountain Oak Cheese accompanied with baskets of fresh baguettes from The Downie Street Bakehouse. Next on the plate is leek soup followed by Wild Mushroom Gratin. Our lunch will be topped off with a splendid dessert from The Black Angus Bakery. Locally brewed craft beer along with red and white wines from Niagara are also included. We've only just begun to scratch the surface (so to speak) on wild herbs but there are plenty that Mother Nature has to offer. 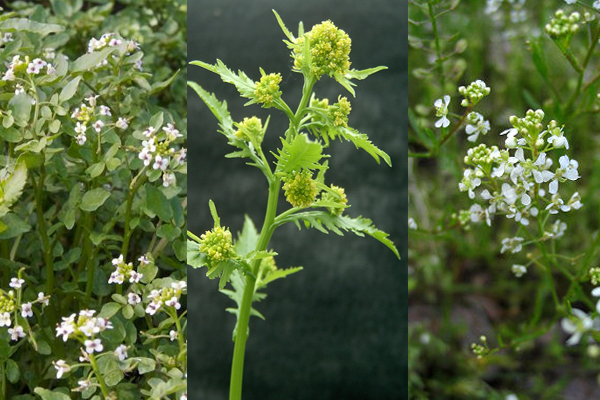 Three herbs from the Mustard Family are on the agenda. 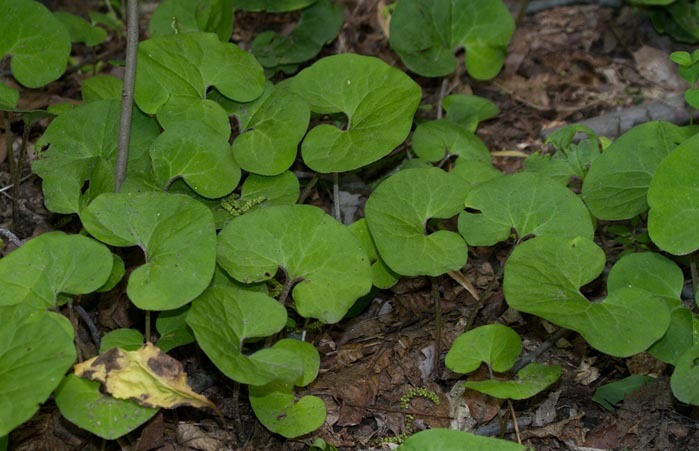 Wild Watercress found in shallow creeks and streams, Marsh Yellowcress growing in damp foothill areas and Peppergrass along waste sites and roadsides. The deeper we go into Autumn Watercress becomes more peppery while Yellowcress and Peppergrass are milder but quite pleasant. All three can work wonders in various recipes including stuffing for your turkey. 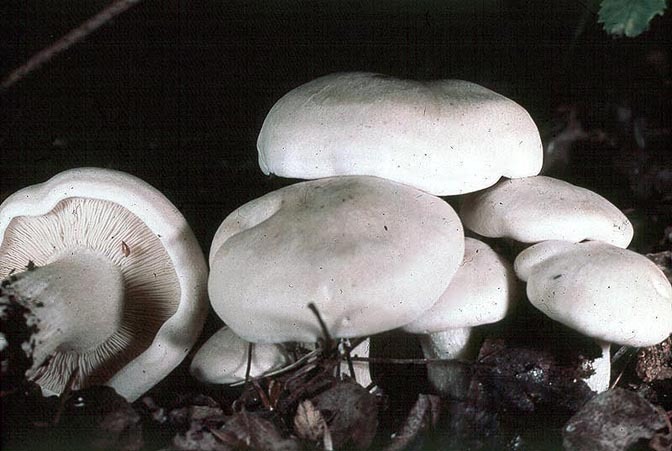 Along with wild herbs we will be foraging for mushrooms such as Blewits, large tasty Lepistas along with Pear Shaped and Gem Studded Puffballs. 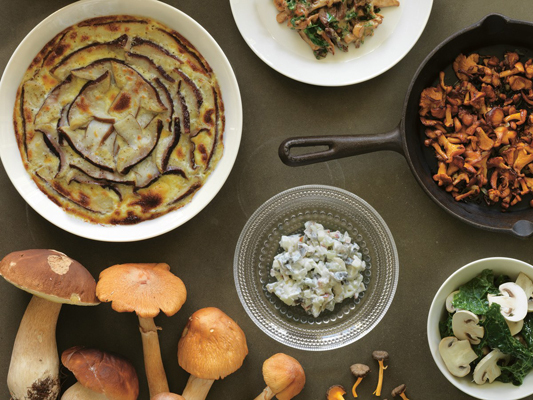 What better way to spice up your meals than with the Wild Edibles of Autumn. 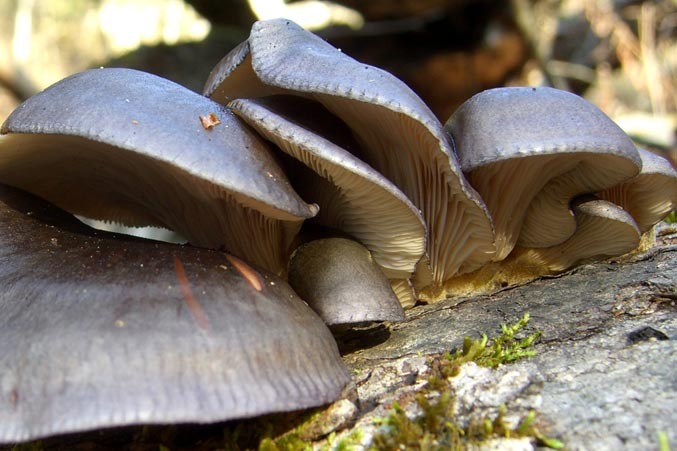 Imagine you are a novice mushroom hunter and come across a mushroom that is strikingly blue. The first thought that comes to mind: "Keep walking." Ah, but that would be a mistake. 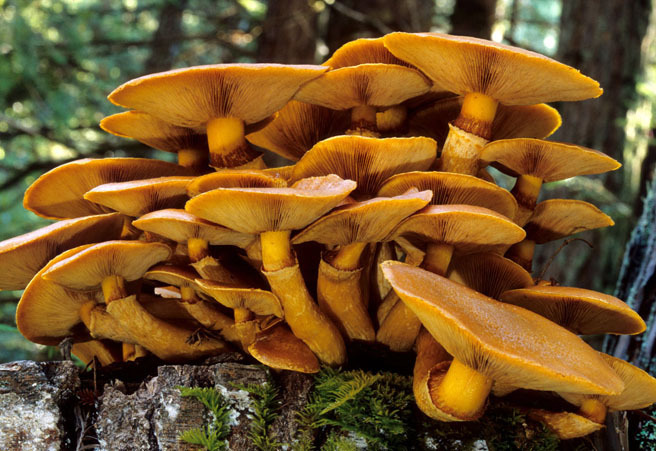 For these radiant fungi are rated "choice" by National Audubon's Field Guide to Mushrooms. They are meaty, large and a plus to any meal. 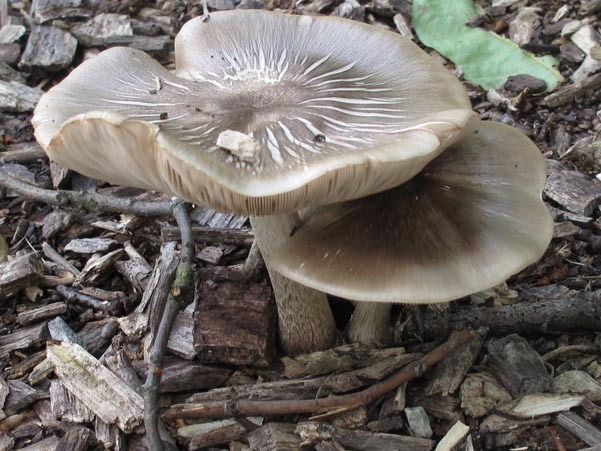 Thankfully we can find them right here in Stratford, many a time growing alongside such wonderful edibles as the Lactarius Deliciosus and, later in the Autumn, the Lepista Irina and the Fawn mushroom. After our local search we will move on to trails only fiftenn minutes from town to collect Honey and Oyster Mushrooms along with wild edible plants and herbs. Puck's Plenty Tours been rated as one of the top foraging adventures in the world by Marriott International and Travel and Leisure Magazine. Join us and out why! 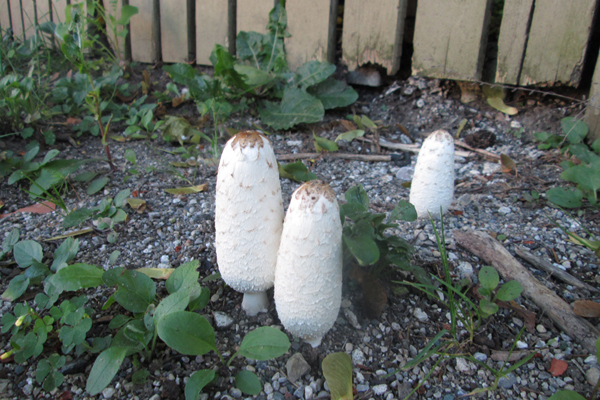 Yet another choice mushroom, Shaggy Manes are found in fields, lawns and waste sites. This very delicate fungi does not last very long so you need to harvest them when young before they begin to turn black. We believe the best way to prepare them is sauteed gently in butter with a dash of garlic. We know it's a standard recipe but if it works it works! 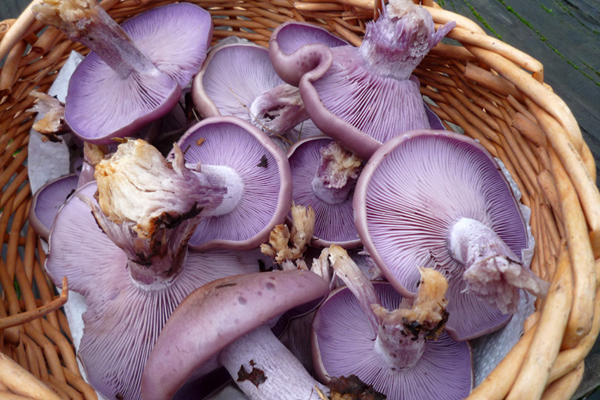 Our harvest begins right here in Stratford where we will also collect other varieties of mushrooms such as Blewits, Lactarius and Velvet Foot. Then we move on to the Avon Trail fifteen minutes from town to search for Lepista Irina, Pear Shaped Puffballs and Fawn Mushrooms. Find out why the number one newspaper from Down Under, The Australian, included Puck's Plenty in their article on wild food earlier this year. 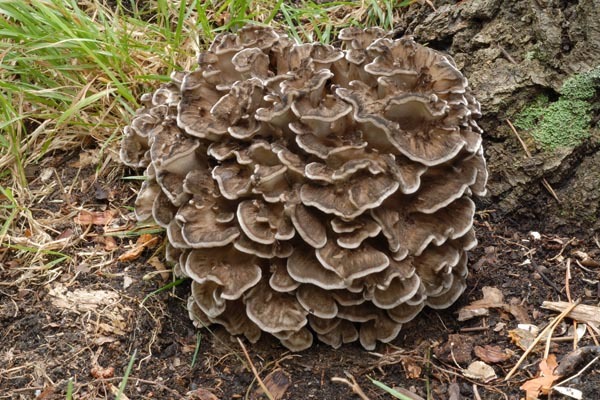 Unlike its Summer counterpart the Fall Oyster is quite meaty and manages to cling to dead hardwood for weeks. These Oysters come in three colours, metalic grey, yellow/tan and, believe it or not, olive green. Because they arrive so late in the season they have no real invaders. No worms, no bugs. Another great mushroom for soups, stews and risotto. We find these growing in well shaded hardwood forests right here in Stratford and also on the Avon Trail. We will also be foraging for Wild Watercress and Wood Sorrel along with other mushrooms such as Velevet Foots, Fawns, Lepista Irinas and Gem Studded Puffballs.